The Green Bay Packers retained Jerry Montgomery as defensive line coach for the 2019 season. Head Coach Matt LaFleur made the announcement on Jan. 31, 2019. Montgomery is entering his fifth season with the Packers and second as defensive line coach.  He worked as the defensive front assistant for Green Bay from 2015-17. Montgomery has helped with the development of DL Kenny Clark, who recorded 10.5 sacks over the past two seasons, the most among Packers defensive linemen and second on the team over that span. In 2017, DL Mike Daniels earned his first career Pro Bowl selection, just the fifth defensive tackle in team history to be named to the Pro Bowl, after recording a career-best 72 tackles while ranking No. 3 on the team with five sacks. Montgomery joined the Packers in 2015 after coaching at the collegiate level for 11 seasons, which included eight seasons coaching the defensive line at the University of Oklahoma (2013-14), the University of Michigan (2011-12), the University of Wyoming (2009-10) and the University of Northern Iowa (2007-08). He began his coaching career at his alma mater, the University of Iowa, as a student assistant in 2002. Montgomery continued coaching as an assistant at Iowa City West High School (2003-04) and as the defensive coordinator at North Iowa Community College (2005) while also playing for the Chicago Rush, Colorado Crush and Las Vegas Gladiators of the Arena Football League (2003-05).